we do on a regular day when our heart and soul ache for our child while we seem enveloped in a dark cloud and mired in black quicksand sucking the life out of us? What Mood Busters can we call on for relief? After my 19 year old daughter Peggy died instantly in a freak car accident, my 21 year old son Denis died four days later from the same accident, the day after we buried Peggy. As I planned two separate funerals in one week, I wondered if I would ever get up again, much less smile, laugh or have a life. In those early days, each minute, hour and day was a struggle. Luckily, along the way, I found a few things that comforted me and seemed to shorten the endless hours that challenged my broken heart. Each time I discovered something that eased my pain, I added it to my “Rescue List” so I could repeat it (and also remember it) for the next time I needed to scrape and claw my way out of that dark hole of grief. You, too, can create a list of “Revivers” to navigate you through a rough patch. 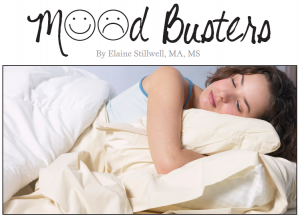 You might like to try a few of my Mood Busters and then create some of your own. Treasure that Book. Curling up on a comfy sofa or bed with an inspiring support book while enjoying a cup of coffee or tea or sipping a glass of wine, learning from those who walked before me brought moments of relief and hope to my fragile spirit. Inviting comforting words into my soul and taking time to ponder their motivating message was like handing me a roadmap out of my misery. It felt like an angel pointing the way to better days. Run to the library (155.937 section), your favorite bookstore, or check out amazon.com for a motivating book to give you ammunition to fight the gloom and anxiety. Fill your head with positive thoughts, inviting strategies, and inspiring phrases that speak to your heart. You might even want to write down or memorize some words, like those of Viktor Frankl advising us, “Things don’t go wrong and break your heart so you can become bitter and give up. They happen to break you down and build you up so you can be all you were intended to be.” You discover that words have magic and power and can be great Mood Busters. Write Your Heart Out. No one ever suggested that I keep notes in a journal, recording the ups and downs of my rollercoaster days of grief. But instinctively, I helped my heart by writing about my children and about the things that helped me survive. I guess I was emptying my heart of the pain, pouring it onto paper – and later into my computer. It helped me express what I was feeling, allowing all the suffering to spill our rather than to fill up and later become a disastrous Niagara Falls. Writing helped me discover my pattern of grieving. That enabled me to make decisions and choices knowing what my heart needed as I was creating my “new normal.” Start jotting down a few sentences when you feel the blahs closing in. Discover the power of words as you reveal what makes you tick. Armed with the knowledge of what helps you and what makes you crazy, you can boldly face the enemy and watch those crippling emotions make a fast retreat as Mood-Busters take over and come to your aid. Glue Yourself to Loving People. How wonderful I found it was to be surrounded with loving people who were simply there for me! No demands, no shoulds, no advice, just trying to make sure I was all right. They were like an invincible fortress around me as I struggled and fought with the gloom of the long, empty days without my two children. Surround yourself with these loving people. They listen to your story (without rolling their eyes), hear your moans and groans, wipe your tears, encourage you to take care of yourself, make no judgments and “walk the walk” with you. We might not be able to lean on immediate family members and close relatives since they, too, are battling grief, but good friends could be our anchor. They realize that our heartache and tears are a tribute to what we lost. They acknowledge that the depth of our pain testifies to the depth of our love. 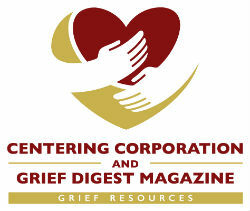 Since our grief gives our loss significance, we don’t want anyone to “fix it” or take it away. 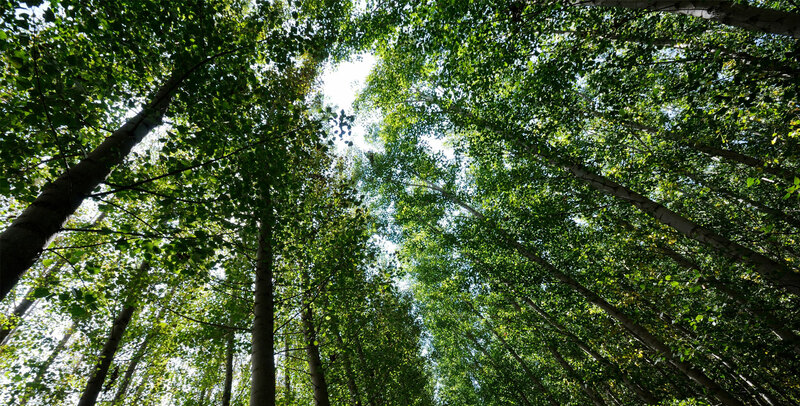 We just want to wallow in it, savoring every minute as we adjust to the loss of our child. Don’t let anyone hurry you. Make your own timetable. Go at your own pace. Stick with this special circle of loving friends. Welcome their calls or visits, share a cup of tea or friendly beer, designate chores to them that seem overwhelming to you, and bask in their love as they wrap you in hugs – all sure protections against dreary days. They are definite, valuable Mood Busters. Revive the Spirit. It could be time to break out of your grief shell. Taking a peek at the calendar we can choose a date to do something fun that we enjoyed before our child died. It could be as simple as going to a movie, or rooting for Notre Dame. I walked the ocean beach, put up a Christmas tree, celebrated “Hallmark” occasions – all bringing back precious memories. Remember, a date on the calendar gives meaning to a day and gives us something to look forward to. Or maybe it is the time to schedule a get-away weekend, either to a relaxing resort or to visit that special person we would be thrilled to see. Every chance we got, my husband and I visited our daughter 250 miles away at college, totally enjoying seeing her and delighting in the amenities of a lovely hotel nearby. Just the change of pace, getting out of the house, taking a ride, seeing different scenery, enjoying being with loving company or just eating inviting meals could be a tonic for our aching heart. Plan ahead and keep that gloom at arms’ length by immersing yourself in the joys of yesterday that provide sweet memories and also in the creation of the new joys of today. Discover your own Mood Busters. Keep Moving. When you’re grieving there’s no such thing as too much physical exercise. Get yourself up and moving, even if it’s just walking around the block. It gets you out of the house, seeing others, noticing nature, and away from sitting all day, popping pills, drinking too many relaxers, or raiding the refrigerator. In those dark days, my daily exercise, rain or shine, was walking my black lab Mickey three times a day. It was like a catharsis for me, walking together as I told him all my secrets and cried my brains out. We could jog and run, roll in the snow, and walk in the rain, wind and sub-zero temperatures – all refreshing and exhilarating to the spirit when grieving 24/7. Come to think of it, I think Mickey actually walked me around the block. Today many folks handle exercise a little differently – they run straight to the gym, especially when they’re having a bad day. They’re not ever afraid of those torture machines. They welcome them! They find that working-out doesn’t take away their excruciating grief pain, but it does clear their mind, exhausts their body, provides an outlet for their raw pent-up emotions, enables them to breathe easier and perhaps even get a better night’s sleep. The extra bonus is that they are taking good care of themselves while getting in really good shape to chase gloom away, a real Mood Buster. Save the Day. Don’t let emotions, comments, situations, people, weather, panic attacks or Hallmark days get you down. Be prepared. Who you gonna call? Mood Busters, of course! !